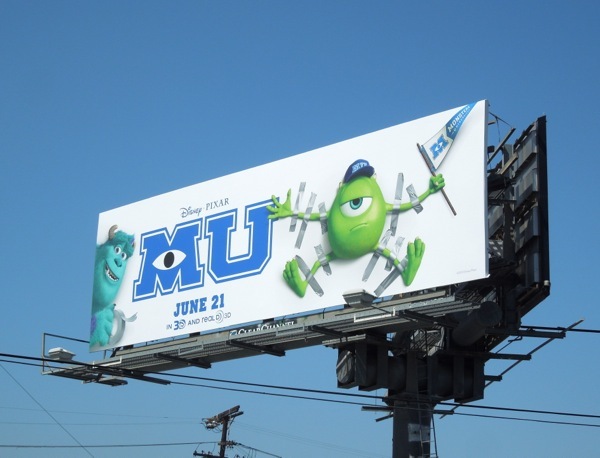 Now here's a refreshing change, a movie prequel that audiences will actually want to go and see. 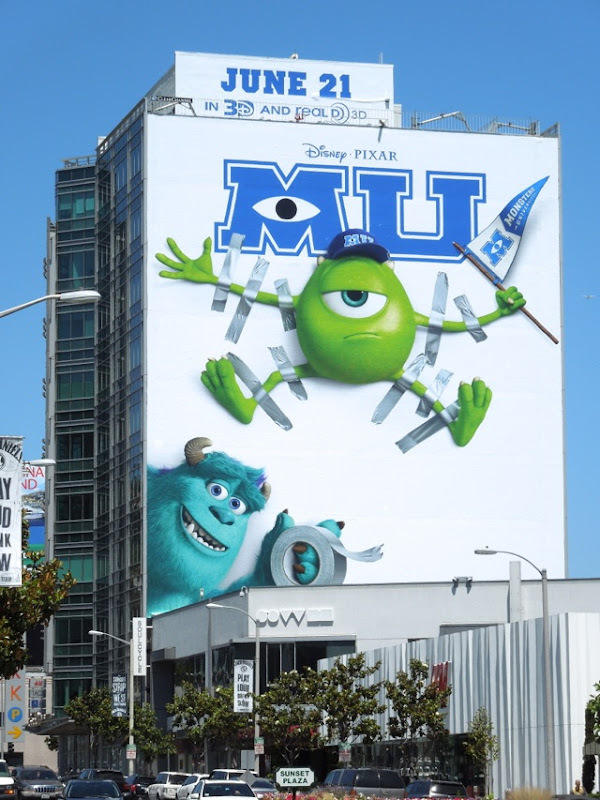 Monsters University takes furball 'James P. Sullivan' ('Sulley' to his friends) one-eyed 'Mike Wazowski' back to their scare school days, where we find out they didn't always used to be the best of friends. 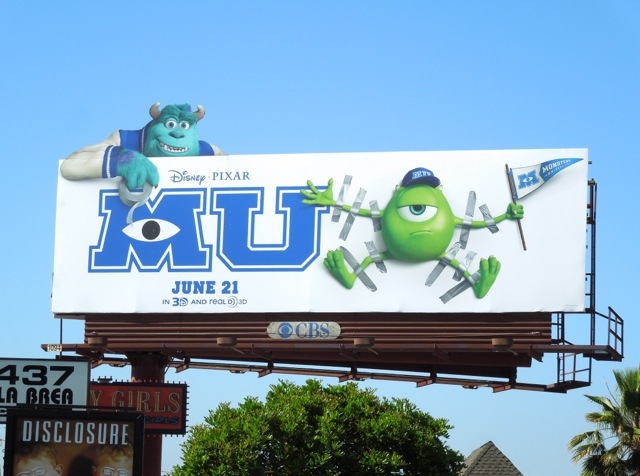 From the looks of things it's going to be great fun watching how the popular party animal and teacher's pet came to be monster pals in the grand Disney/Pixar tradition. 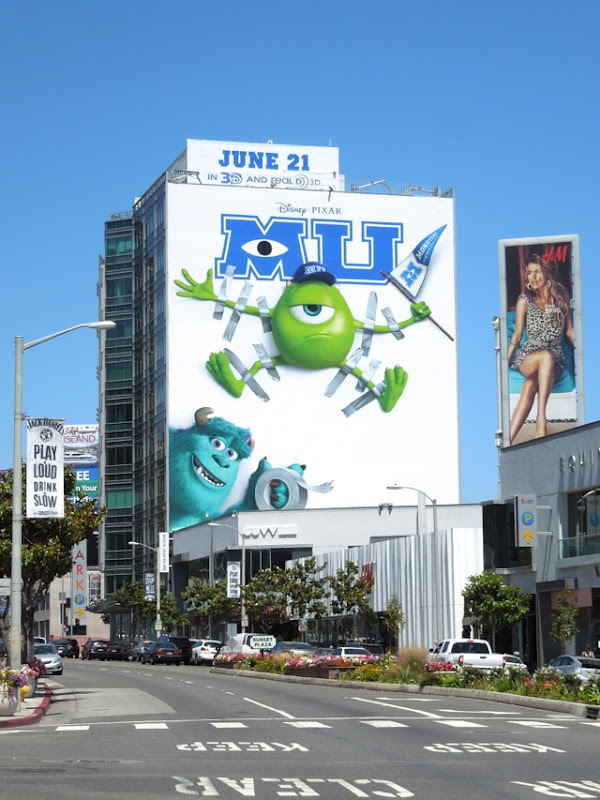 This giant-sized billboard along L.A.'s Sunset Plaza is sure to put a smile on even the grumpiest of motorists and passersby, whilst the special extension billboard snapped along La Brea Avenue at Sunset Boulevard on May 29, 2013 is just as fun and eye-catching. 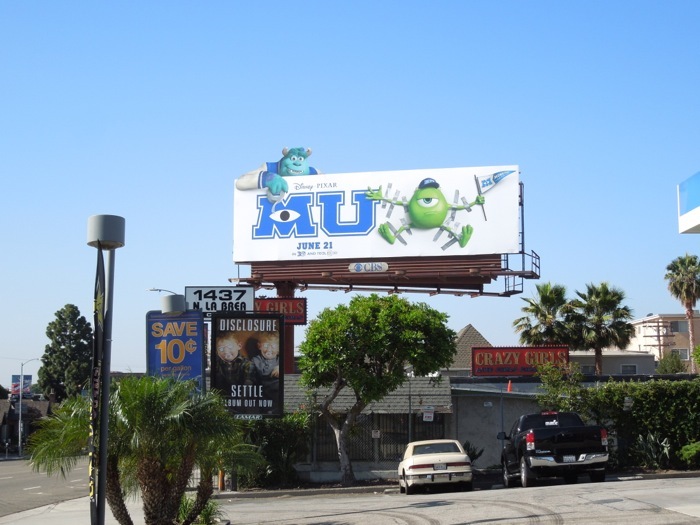 If you like these, be sure to take a look at these other fabulous Disney/Pixar movie character billboards from around the streets of Los Angeles. 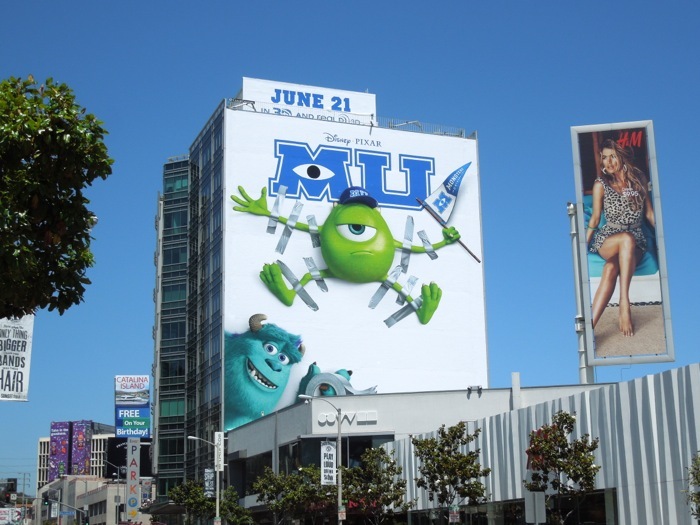 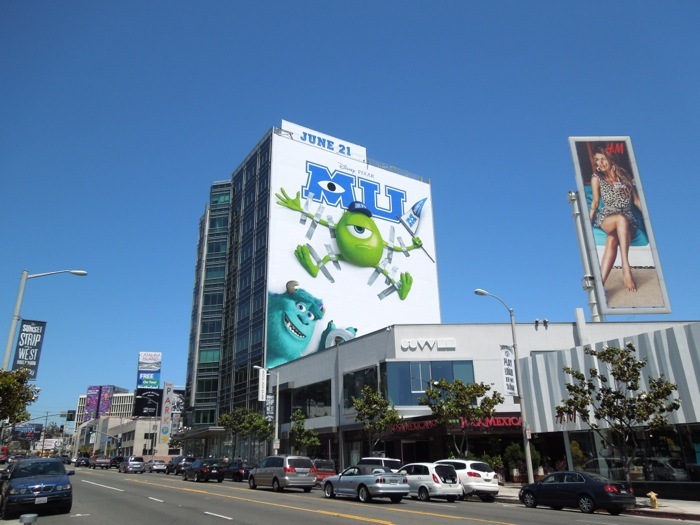 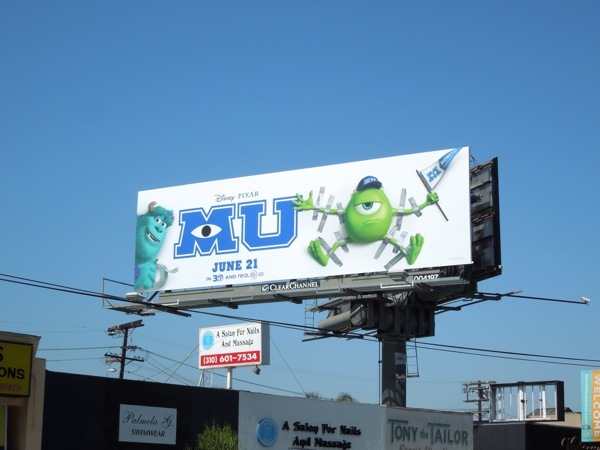 UPDATED: In addition to the giant-sized and special extension versions, here's a standard landscape billboard for Monsters University which is equally fun and was snapped along 3rd Street on June 18, 2013. 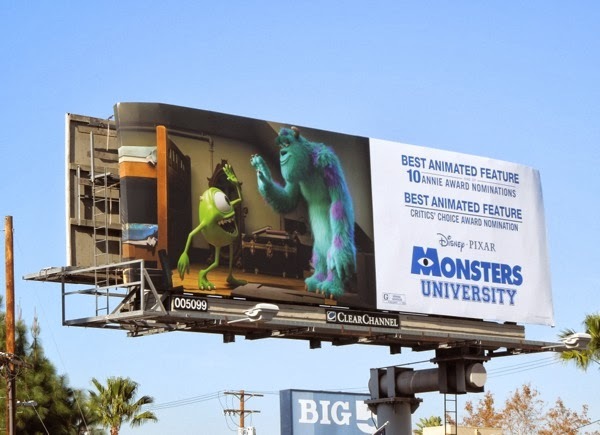 UPDATED: With awards season looming, here's a Monsters University billboard snapped along Ventura Boulevard in Studio City on December 31, 2013, showing all the Disney/Pixar movie's award nominations.